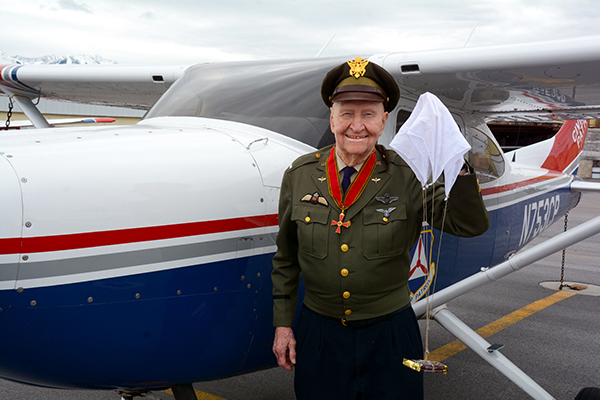 Gail S. Halvorsen, known internationally as the “Candy Bomber,” has dedicated his life to aviation education, to mentoring youth and responding to the emergency needs of those around him. Now, the foundation dedicated to his legacy — The Gail S. Halvorsen Aviation Education Foundation — continues his work. The retired colonel lends his name and support to the Foundation, which is dedicated to advancing aviation education, promoting youth leadership development, enhancing community capacity for emergency response and encouraging humanitarian service on macro- and micro-levels. As its initial project, the Foundation is raising money to construct an 8,000-square-foot multi-use facility at the Spanish Fork-Springville Airport. 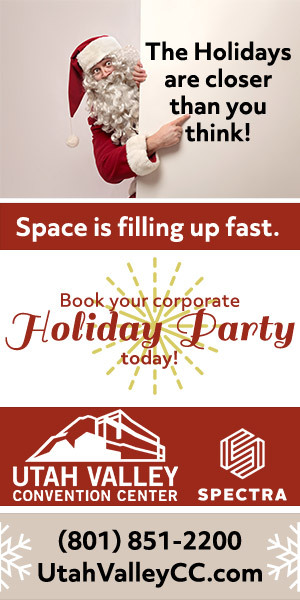 The facility will provide space to house STEM educational enrichment events for local schools and private youth groups, display memorabilia and artifacts that visually depict the Candy Bomber story, and provide meeting space for other like-minded organizations that support the Foundation’s education and humanitarian service missions. 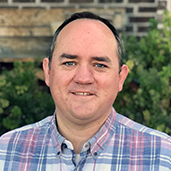 Shortly after graduating from Bear River High School and earning his pilot’s license, Halvorsen would fly north from Brigham City to Rigby, Idaho, where the pilot spent his early years. Seven years later, in 1948, Halvorsen was assigned by the Army Air Corps to Germany to be a pilot for the Berlin Airlift, which delivered much-needed supplies and food from West Germany into West Berlin. It was during this assignment that Gail would wiggle the wings of his plane and then drop candy from parachutes to the children of Berlin. His actions would earn numerous nicknames, including the Candy Bomber. With his desire to assist others and give them hope, Halvorsen’s legacy continues through the The Gail S. Halvorsen Aviation Education Foundation. The Foundation advances aviation education, promotes youth leadership development, enhances community capacity for emergency response and encourages humanitarian service on macro- and micro-levels. The Foundation is dedicated to serving others and carrying on Halvorsen’s legacy. 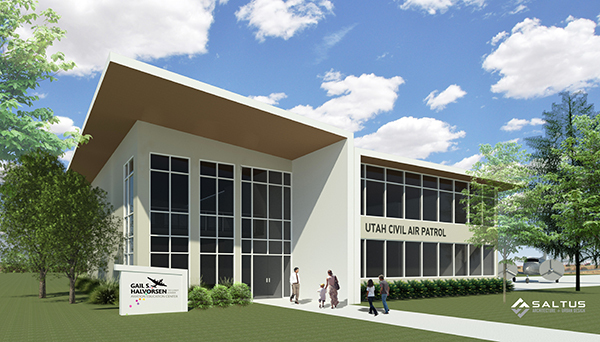 The building will also become the operating location for the Civil Air Patrol’s central region of Utah. The Civil Air Patrol is the civilian auxiliary of the U.S. Air Force and is made up of volunteers that work toward three main purposes: aerospace education, youth cadet programs and emergency services, including search and rescue and disaster relief. For more information on The Gail S. Halvorsen Aviation Education Foundation or to become involved, visit thecandybomber.org or email the Foundation’s executive director, James Stewart at james.stewart.cap@gmail.com.